This superb necklace is made in platinum and 18ct red gold on an 18ct white gold chain and has been handmade to Alan's design. The rectangular pendant section has an oval ruby set in 4 18ct red gold claws. 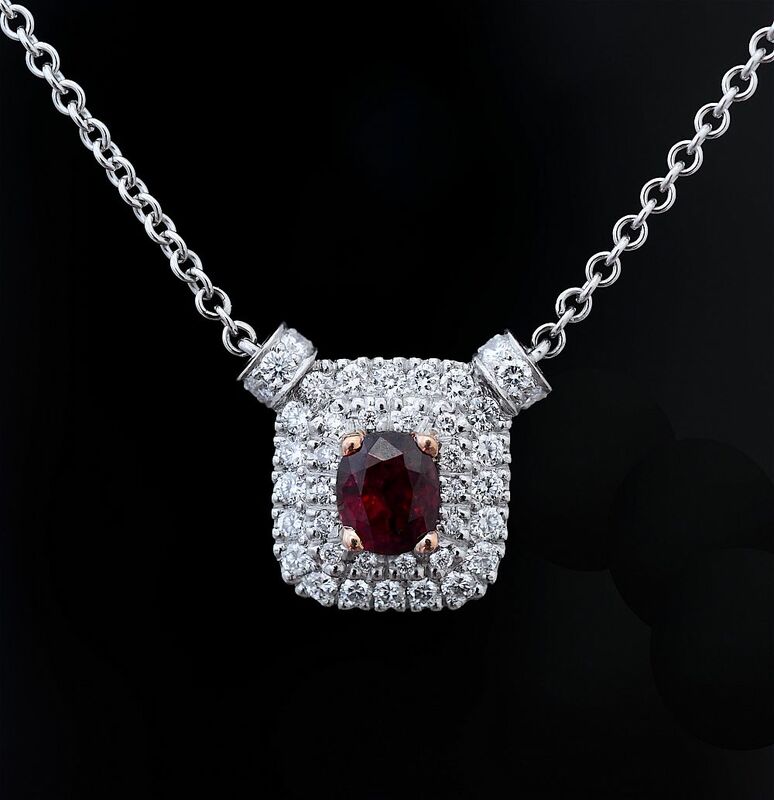 The ruby is set slightly above a double frame of small round platinum claw set diamonds. On each side of the top of the pendant section is a platinum roundel set with round diamonds to which the 18ct white gold chain is fixed. It is hallmarked by the London Assay Office for platinum & 18ct gold, 2017 and bears the sponsor's mark "A&SP" for Alan & Sue Poultney. This is a piece for all occasions.